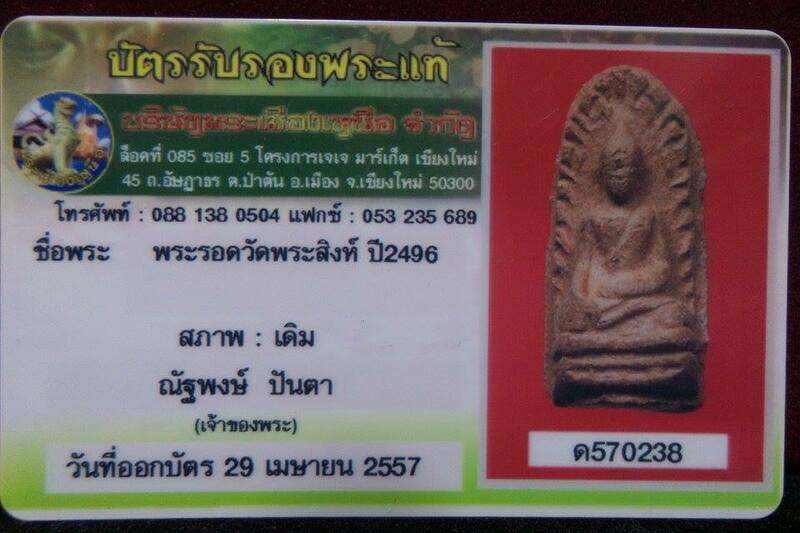 Phra Rod Wat Pra Sing BE2496. 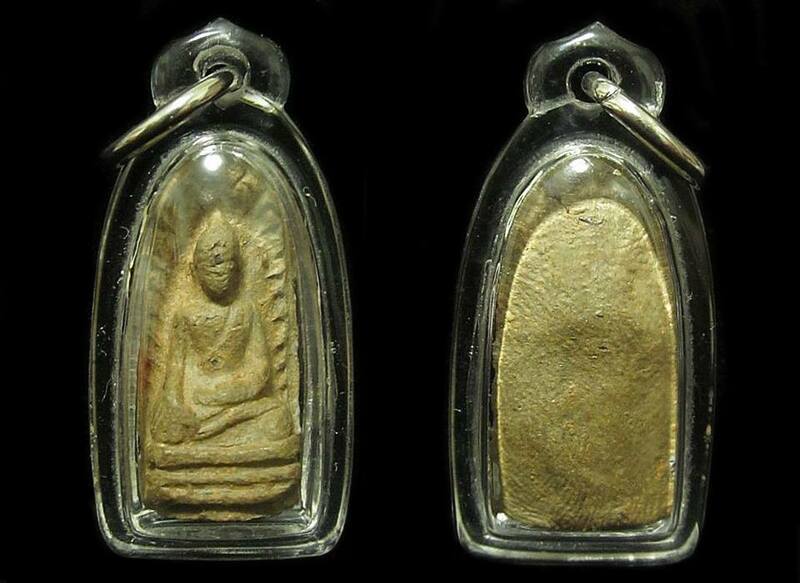 Made from Soil, Old Phra Rod, Phra kong, Phra Perm, Phra Raeng (1300 Years old), Somdej Wat Rakang (Old Powder). It also contained Phong Tri Ni Sing Hae, Phong PutthaMang, Phong PutthaKoon, Phong It Ti Chae from Great LP Suk Wat Makhamtao, LP Thongdum Wat Nam Taeng, KosaJan Chalerm (Master of Chao Kun Nor).